These sturdy U.S. made water resistant portfolios have handles and shoulder straps for ultimate ease in transporting your artwork or craft projects. Each portfolio has a generous, roomy pocket that runs the entire width. 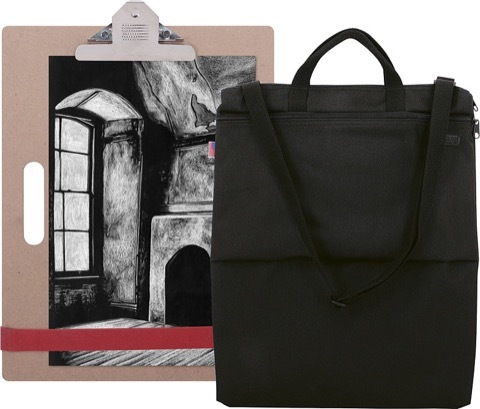 An Art Advantage tote / sketch board is included with each portfolio.